The holidays are long over, but we’re still getting a smattering of holiday themed hacks. For this one, the [Han’s] family decided to make a Christmas bauble that relays their tweets to them! They call it the Tweetbal which is Dutch for — well — Tweetball! Whenever someone tweets with the hashtag #tweetbal it gets displayed on the 20×4 serial LCD display. They’re using an Arduino Uno with an RN-XV WiFly module to receive and send the tweets to the display. A large white plastic ornament ball houses it all secured very firmly with our favorite adhesion method — duct tape. It’s a pretty simple project, but a great holiday hack if we do say so ourselves — plus it could be easily used for non-holiday purposes — like a desktop trinket twitter feed! Stick around after the break to see its tweeting capabilities in action. Building your own gaming platform is pretty cool on its own, but when the game actually looks like fun to play, well that’s on a different level of cool. [Zippy314] designed an Arduino based game platform as a Christmas present to his son called the Das Blinken Bonken! Like all highly addicting games, the gameplay is simple; the player throws a ball at the target board while aiming to hit a specific ‘pad’. As shown in the video after the break, there are many game possibilities with this platform, like trying to hit the illuminated target each time, or just trying to hit all of the pads on the board as fast as possible. A pad is registered as a ‘hit’ with the help of home-made pressure sensors, which are each constructed in a ‘sandwich’ of pressure-sensitive conductive sheets. This is the same material used in these LED Sneakers. Since the resistance through the sheet lowers as pressure is applied, a simple voltage divider circuit is used to feed the analog inputs on the Arduino, thus making it very easy to detect a ‘hit’. An I2C 4-Digit 7 Segment display keeps score and displays the game title, while a strip of addressable RGB LEDs give player feedback and other vital gameplay information. [Craig Shultz], a mechatronics grad student at Northwestern University, sent us a video of his group’s project from last winter: a 3D bubble display. We’ve seen some pretty impressive and innovative bubble displays around here—most recently the 60-tube RGB LED build—but [Craig’s] is the first we’ve seen that adds some depth to the project. For the most part, its construction is what you’d expect: an acrylic case enclosing the 4×4 arrangement of tubes, 16 valves 16 individually controlled solenoids, and some small air pumps; all driven by a PIC microcontroller. In the video, however, you’ll have to strain your eyes if you want to see the tubes, which is a clever design choice on [Craig’s] part to showcase the display’s depth. Each of the bubbles was visually separated by pairing glycerin with a tubing material that had a similar index of refraction, Pyrex. As a result, the tubes blend seamlessly into the fluid. Check out the video after the break. [Trandi] can check ‘build a self-balancing robot’ off of his to-do list. Over a couple of weekends, he built said robot, and, in his own words, managed not to over-design it. It even kept the attention of his 2-year-old son for several minutes, and that’s always a plus. He was originally going to re-purpose one of his son’s RC cars, but didn’t want to risk breaking it. Instead, he designed a triangular 3-D printed chassis to hold a motor and some cogs to fit both the motor shaft and some re-used Meccano wheels. [Trandi]’s design employs an MPU 6050 6-DOF IMU for the balancing act and is built on an Arduino Nano clone. [Trandi] is controlling the motor with an L293D, which has built-in flyback diodes to minimize spikes. 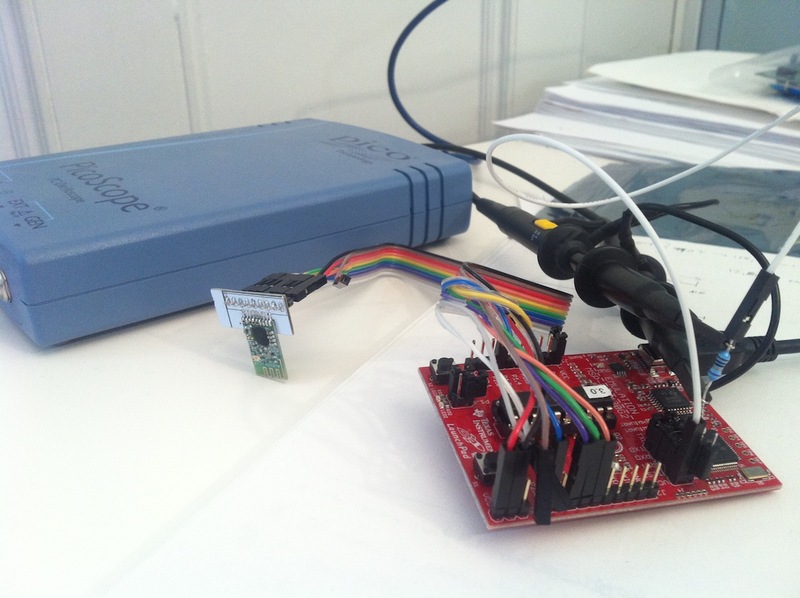 He found that the Nano clone was not powerful enough to handle everything, so he added an L7805CV voltage regulator. After the break, watch [Trandi]’s cute bot tool around on various types of terrain, with and without a payload. Don’t have an IMU lying around? 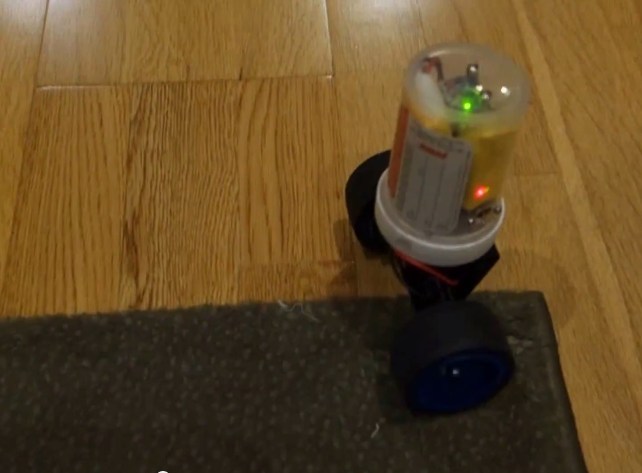 You don’t really need one to build a self-balancing bot, as this IR-based lilliputian bot will demonstrate. When [Simon] fried his 3A rated FET with just 500mA of current he wrote it off to an inability of the SOT23 package to dissipate the heat without a heatsink. For the next iteration of the project he upgraded to a 12A rated part. Luckily he decided to test the circuit one more time before sending his board off for fab. 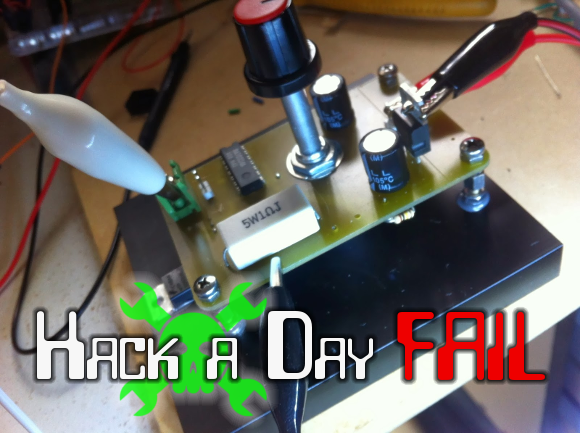 He threw together this constant current load test which led him to discover his failure. The switching circuit, which was for his home security system project that we’ve seen at least twice, worked just fine up to 500mA. But when he drove it above that threshold the package quickly warmed up. It got so hot that it actually reflowed its solder joints! The problem has to do with oscillation, but even with further testing he couldn’t get the FET to reliably shut off all the way. Take a look at his fail write-up linked at the top and then let us know some possible remedies for the situation.